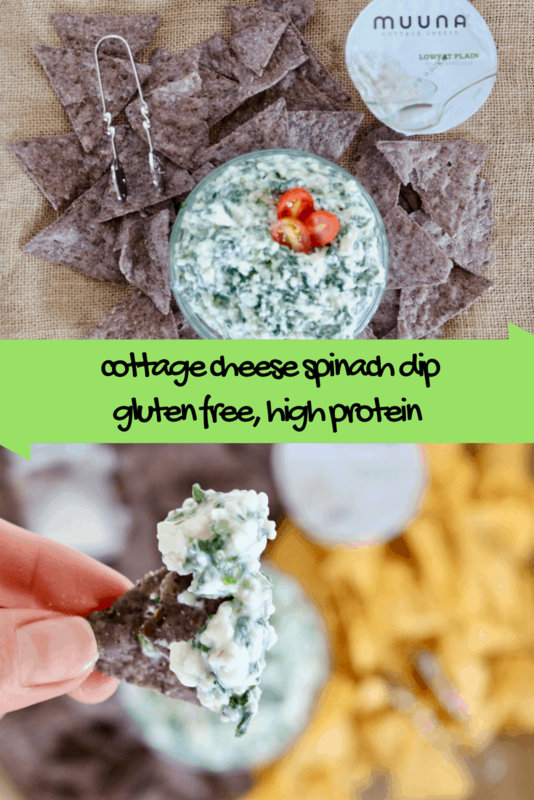 Cottage Cheese Spinach Dip - Gluten Free, Healthy & Delicious! 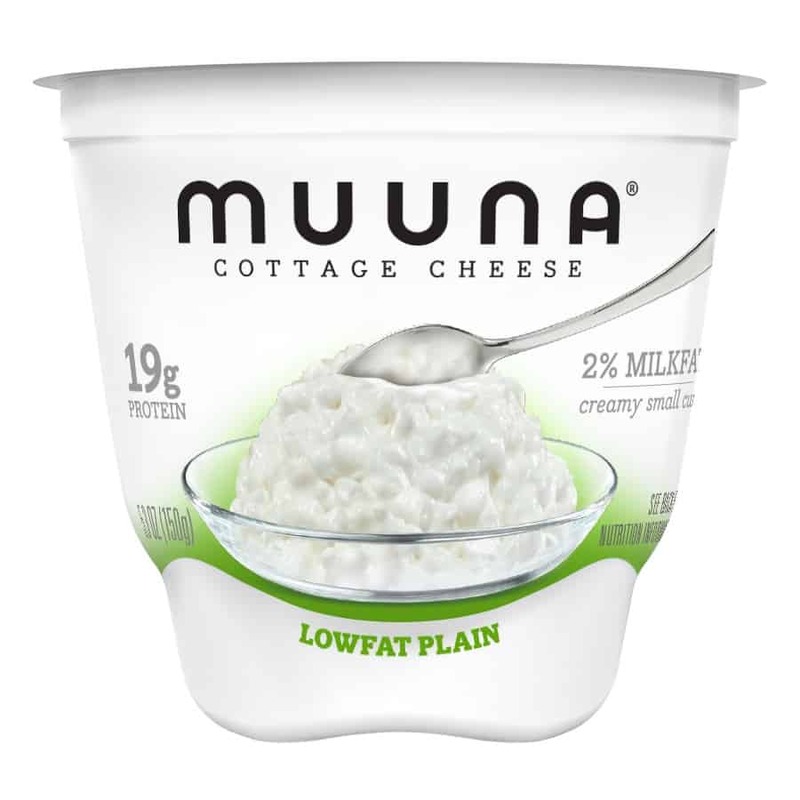 Disclosure: This post was sponsored by my friends at Muuna Cottage Cheese. As always, all opinions are my own. Thanks for supporting the brands that make Shaw’s Simple Swaps happen! Just a girl, a mission and cottage cheese in hand. That’s usually how good things happen, right? Well, maybe not for everyone, but for me in the Shaw Kitchen, it was just a typical day! This Cottage Cheese Spinach Dip is one of those recipes I know is a keeper. Well, Mr. CEO single handedly polished off a good cup of this when he got home from work! Now, why is this Cottage Cheese Spinach Dip different from other dips? 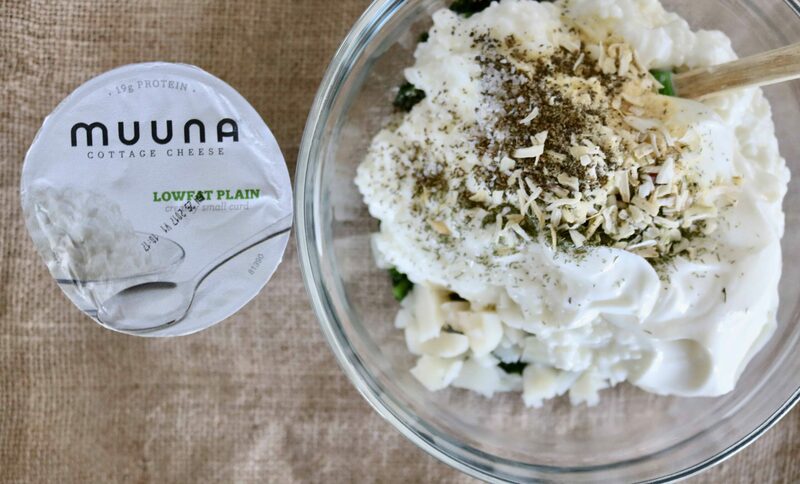 First off, I used Muuna Cottage Cheese. 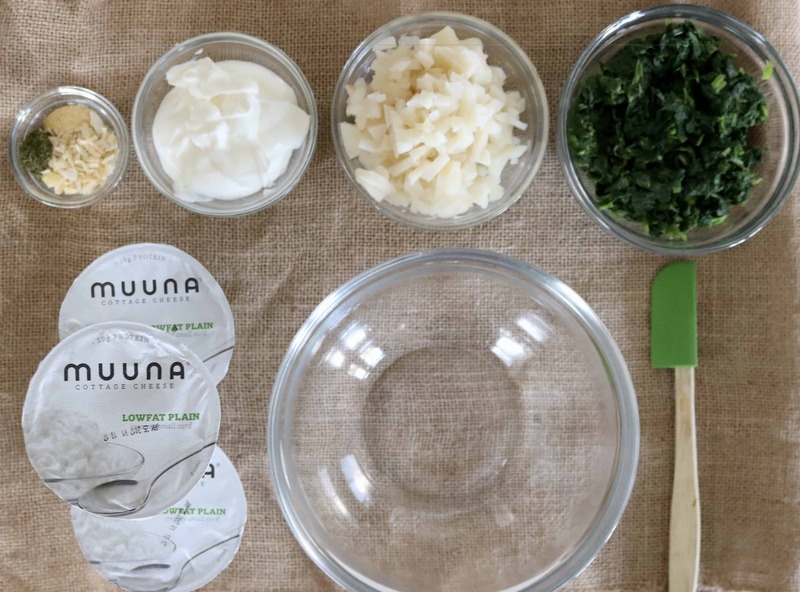 As you know from my Garden Fresh Omelet is made with Muuna, a new product on the market that is high in protein, full of flavor and so versatile. 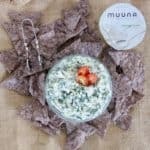 Muuna features unique, beautifully bright, single-serve cups available in six varieties, including Strawberry, Blueberry, Pineapple, Peach, Mango and Lowfat Plain (MSRP $1.69). The company also offers two multi-serve items—Lowfat Plain and Classic Plain (MSRP $3.49). 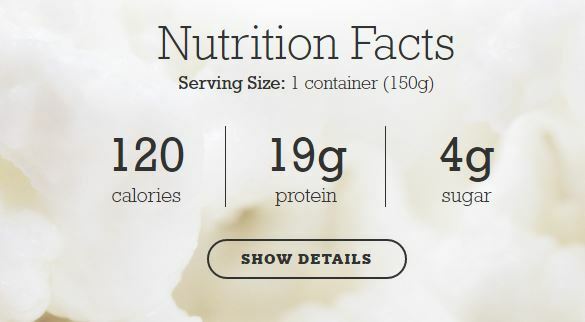 In just a 5.3 ounce serving, you get over 19 grans of high quality protein for just 120 calories. Satisfying and satiating, a winning combo! Second, this dip uses a variety of vegetables, like spinach and those deliciously crunchy water chestnuts! Truly this is my favorite part. Anytime I get the trifecta of textures in one dip, my taste buds get a little crazy! And, finally, the spices! Instead of the store bought mixes that contain who knows what in the ingredients, I used a blend of typical dried spices you most likely have on hand. Kosher salt, black pepper, garlic powder, onion flakes, dill and celery seed, a bonafide DIY spice mix! 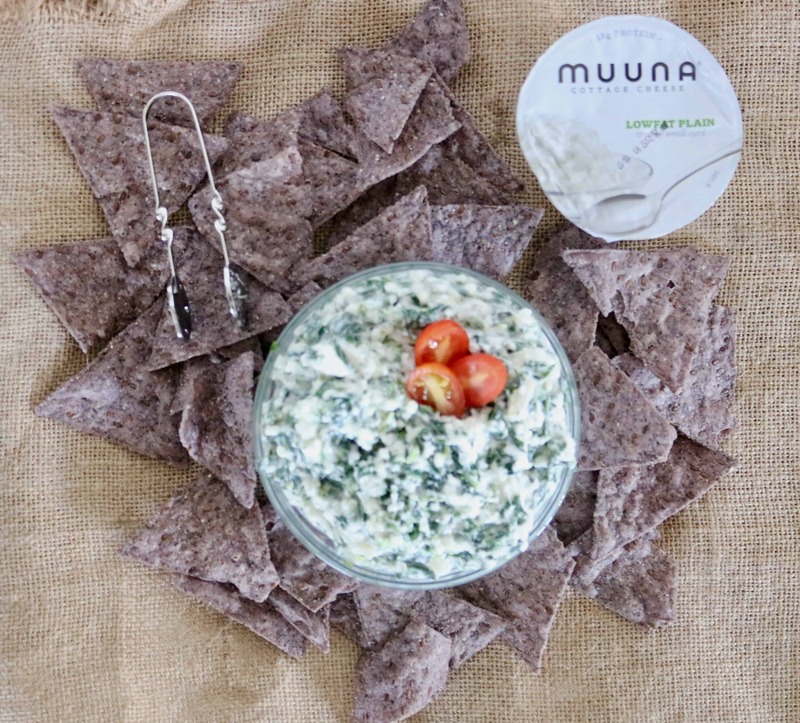 If you decide to join the train and pick up Muuna to create this delicious Cottage Cheese Spinach Dip (currently available in the Northeast at ShopeRite and Shaw’s Markets), don’t forget you can also use the extra to whip up other delicious creations! For instance, here’s a few recipe ideas I’ve got in my arsenal that use cottage cheese! Now, join me in whipping up this delicious Cottage Cheese Spinach Dip! Cottage Cheese Spinach Dip - Gluten Free, Healthy & Delicious! 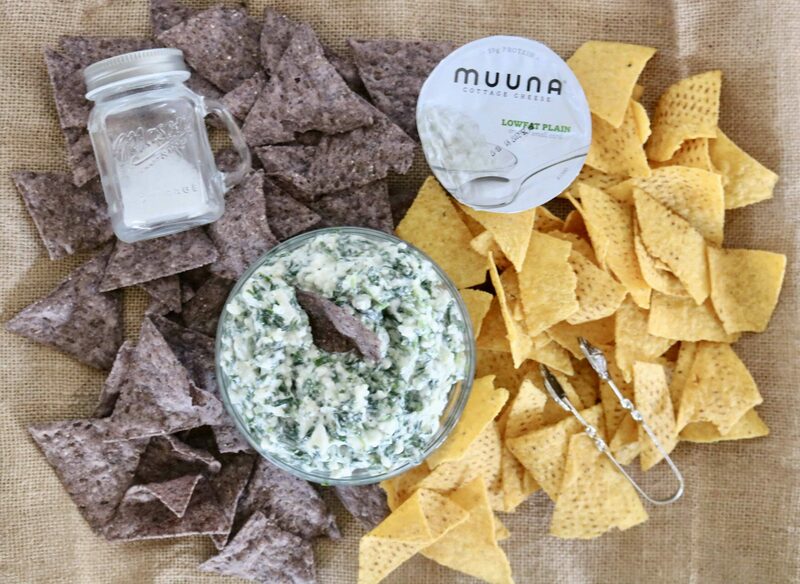 Low calorie and flavor packed, this dip will be the hit of your party! Heat the frozen spinach in a microwave safe dish for 2 to 3 minutes. Remove and using pepper towels strain the water out. In a large bowl, add the spinach, Muuna Cottage Cheese, sour cream, water chestnuts and stir. Add in the spices and thoroughly combine. Serve cold with tortilla chips or fresh veggies. For more information, visit www.muuna.com or join the conversation on Facebook, Twitter and Instagram with #Muuna. This recipe is what healthy spinach dip dreams are made of, Liz! Where’s my heart eyes emoji when I need her?!! LOL I love that you love this! Sending you a big old HUG emoji now! 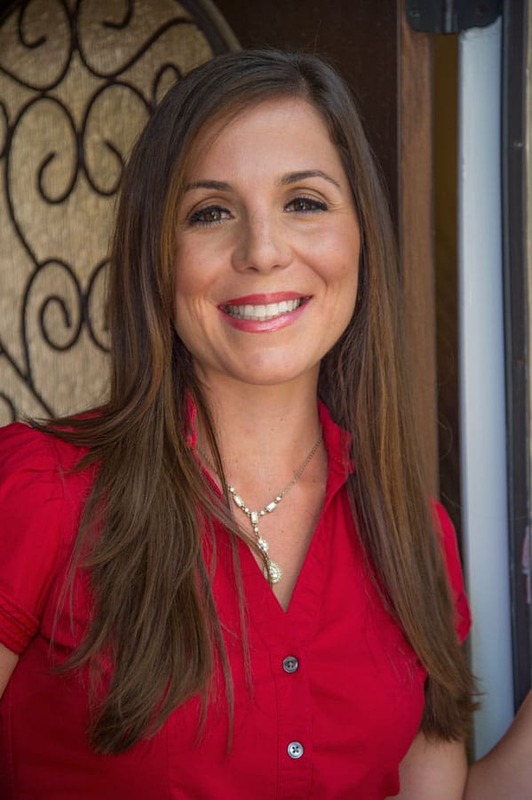 You too Sonali– and I keep eyeing your sweet potato coins that keep popping up in my feed! YUM!